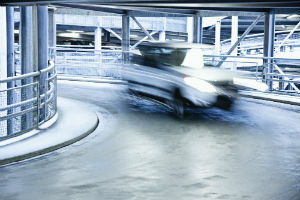 There are a lot of hidden dangers in parking lots that can cause car accidents. Some of these accidents even lead to serious injuries. At Phillips Law Group, we understand that you may be hurting and confused after an accident. The personal injury attorneys from our Phoenix office work diligently to get you the compensation you deserve after an accident, and our results speak for themselves. While parking lots can seem easy to navigate, many are poorly designed and maintained which can lead to dangerous situations and serious injuries. Car accidents can happen anywhere that vehicles may be located, can involve a single car or dozens, and can happen at low or high speeds. Our attorneys are also experienced representing victims in pedestrian-related collisions. If you were involved in a parking lot accident, do not leave the scene or you may face criminal prosecution. First, be safe and get out of the way of other traffic. Once you have done that, call your insurance company to report the accident. If serious injuries were involved, make sure you also call the police to file a report. Save all documentation from the accident, as the lawyer will need it when preparing your case. After a car accident, you need experienced and capable legal representation to protect your rights. The auto accident lawyers with Phillips Law Group help car accident victims receive the compensation they may be entitled to under the law. Contact a car accident lawyer from the Phillips Law Group today for a free consultation to discuss your case. We can help you get the justice you deserve.